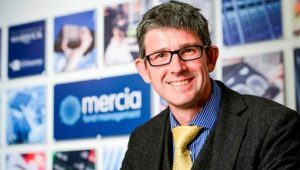 Mercia Technologies PLC has announced profit growth in the first half of its current financial year on the increased value of its portfolio. The Henley-in-Arden based technology investor said pretax profit rose 36% to GBP 1.9 million in the six months to the end of September, up from GBP 1.4 million reported for the same period a year ago, as revenue grew 8.2% to GBP 5.3 million from GBP 4.9 million. During the first half, Mercia Technologies said it invested GBP 9.2 million into 11 portfolio companies, including one new direct investment. The value of the company’s portfolio increased by 18% to GBP 77.8 million from GBP64.7 million in the first half of 2017. This increase in value was driven by both the GBP9.2 million of new capital invested and GBP2.6 million of upward fair-value movements. At the end of the period, funds under management were GBP394.9 million, up from GBP336.5 million a year prior. 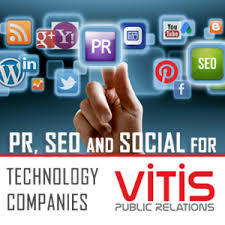 ““The commercial progress being made across the portfolio is accelerating. With Mercia’s increasing scale, we are now seeing a greater number of attractive investment opportunities for our managed funds, which bodes well for the future direct investment pipeline as we seek to build a sustainable investment model. We therefore remain confident in our ability to deliver strong returns for shareholders and fund investors alike over the medium term.”,” said Chief Executive Officer Mark Payton.